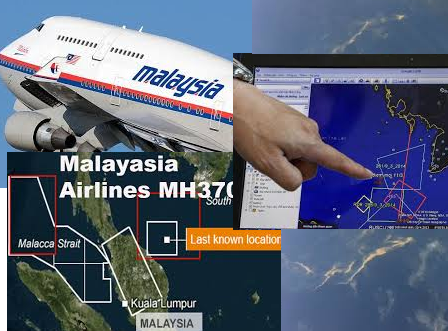 Friday, March 7, 2014, at about 1730 GMT the Malaysia Airlines flight MH370 disappeared after taking off from Kuala Lumpur bound for Beijing. The hunt for this missing Boeing 777 now covers of about nearly 27,000 nautical miles or over 90,000 square kilometers and the search is still on going since Friday. The mystery on how and where is the airplane gone are still questionable because there is no found evidence of any mid-air explosion based on US satellite network records of heat signatures linked to any exploding aircraft since that airplane gone, based on ABS-CBN news. According to NBC News reported the lack of satellite results and because of no specific area identified by satellites, the US Naval ships that joined the search for the missing Boeng 777 in the South China Sea were not sent to a particular location to look for debris of that airplane with board of 227 passengers and 12 crew. Last Wednesday the Organizers said that an international pool of satellites from different countries already joined the search for the missing Malaysia Airliner Flight MH370 and plans to share images from orbiting satellites hoping that they can trace where the airplane gone. We were hoping that this missing Airliner will be found as soon as possible and rescue the passengers and crews on board on that plane if still possible or find out how and where that airplane gone. This is one of the most mystical issue of this year that opened all over the world. Hope that this case may result to more extensive securities done on all airports all over world specially on those countries will less security protocol that this case won't happen anymore in the future. Updates will be posted on our future blog post about this missing Malaysia Airlines flight MH370, so keep in touched. Be careful about false news encircling social media that the missing airline has been found on Vietnam sea, read info here.